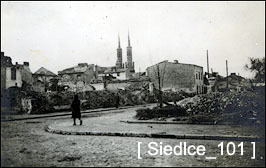 View of the town in ruins during World War II. 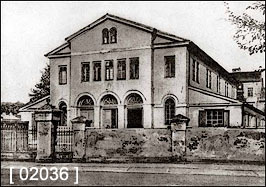 Photo 1939-1943. 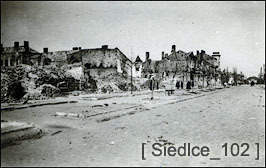 Ruins of a shtetl. 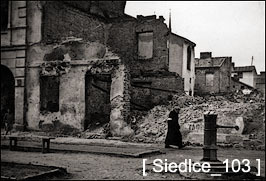 Jewish man passes Ghetto ruins during World War II. Photo 1939-1942.